Scenic drive from Kathmandu to Besisahar. See some world highest mountains. Crossing world largest pass Throng-La (5416m). Tilicho Lake is one of the highest lake in Nepal, Tilicho as being 4,949 meters high (16,237 feet). 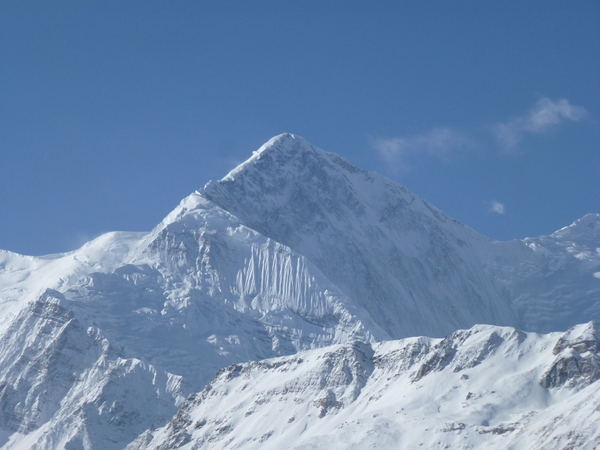 It is located in Manang district of Nepal. Tilicho is one of the most popular tourist destination that gives a magical travel experience. 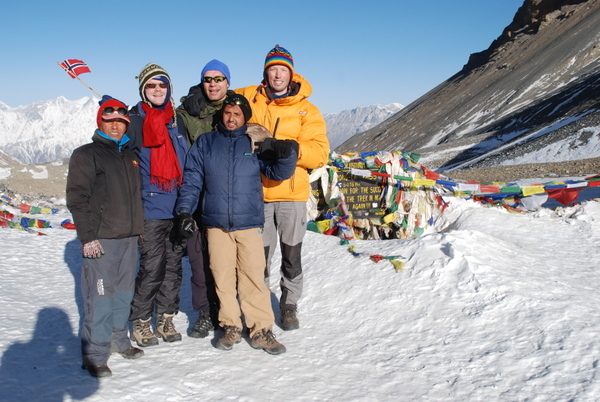 The spectacular view of Annapurna range and mix culture is the major charisma of the Tilicho Lake trekking. The lake is holy place, it carries historical and pilgrimage importance. 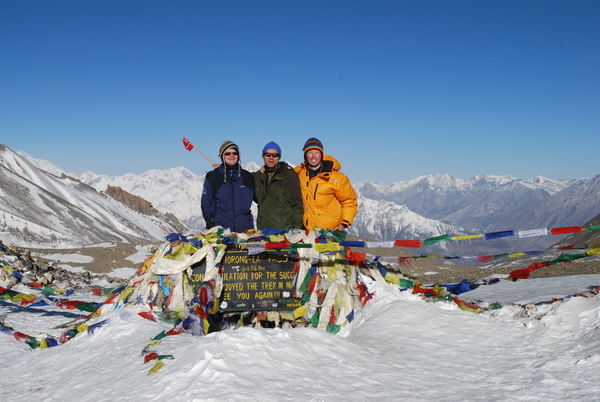 It is combine of Annapurna circuit trekking. 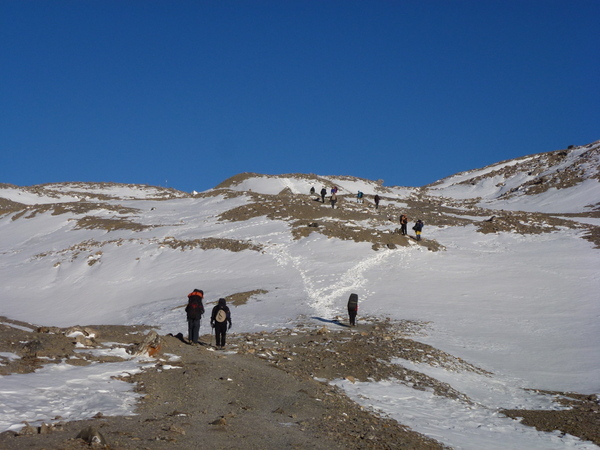 Trekking to Tilicho Base Camp Thorong La begins from Besisahar, by following Marshyangdi river gorge. 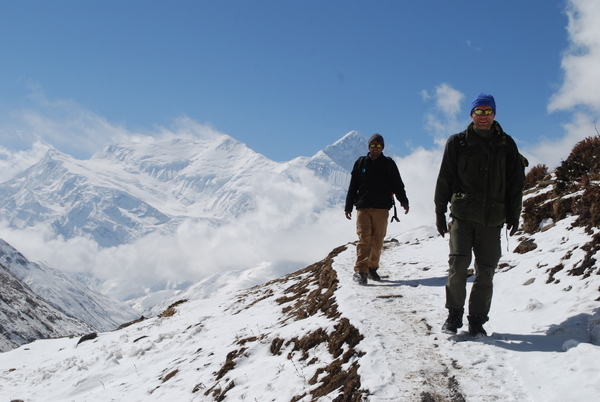 Tilicho lake trekking is filled with adventure and excitement with beautiful scenarios of scow-capped mountains. Drive from Kathmandu to Besisahar following Prithivi high way connecting high way between Kathmandu and Pokhara passing green hill, farm land on the way. Continue driving by side of river, observing scenic green village, passing towns, village, and stream on the way and to Besisahar. From Besisahar continue drive towards Chame. 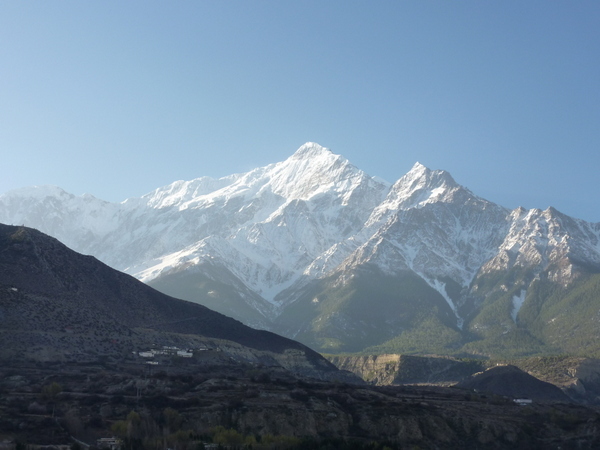 Today is a free day in and around Manang for local exploration and acclimatization. Possible side trips include the short walk across to a large glacial lake. The majority of tourists traveling the popular Annapurna circuit stop for a day or two to rest in Manang village. 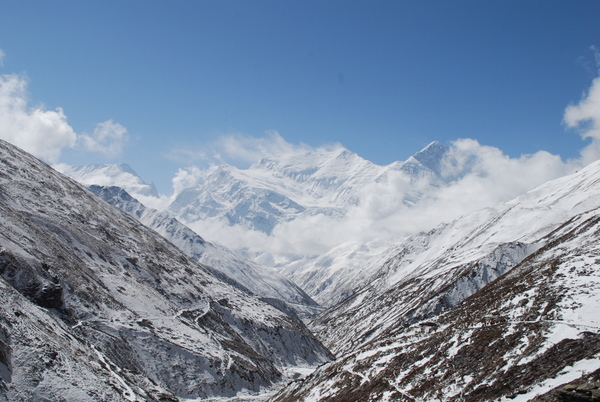 As they acclimatize to the higher altitude and prepare for the challenge of the Thorong Pass, on the way to Jomsom, much of the mystery and magic of Manang is lost to them. With little time to explore the magnificent Nyeshang Valley, an area rich in culture and tradition, deeply religious, and with a strong Tibetan influence, they miss a lifetime’s experience. An age-old, unaffected way of life can be found in the villages of Pisang, Humde, Ghyaru, Ngawal, Manang, Braga and Khangsar and in the valley’s many monasteries, numerous festivals, and in the hardiness of its people. 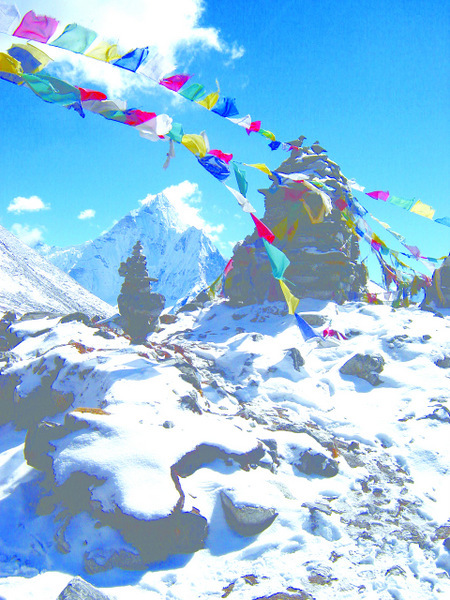 It was here that the Tibetan saint Mila Repa meditated where the world’s highest lake is situated, and where endangered species like the elusive snow leopard, and the blue sheep, and hoards of yak roam. Manang’s spectacular mountain scenery, vibrant colors of nature – wild flowers, herbs, and tranquil lakes - are accessible. ManangKhangsar (4200 m) in 5 h. We leave the Marshyangdi River to follow a very little frequented trail along the KhangsarKhola. 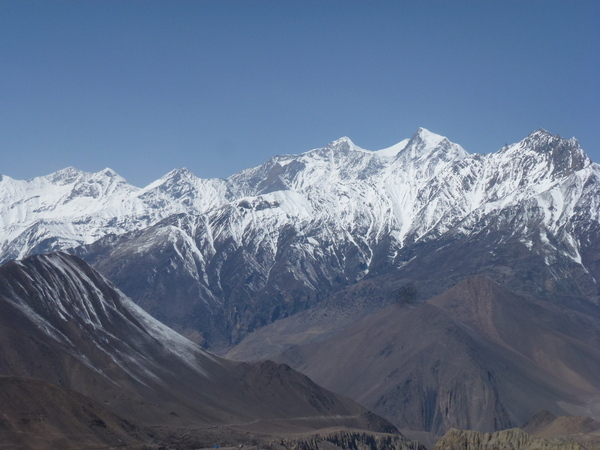 Soon we climb above the riverbed towards Khangsar, the last village before Tilicho Lake. We pass Thare monastery and continue till we reach 4200 m high. Khangsar -Tilicho Lake (4950 m) in 7 h. The trail winds its way to reach 4700 m, drops down 500 m to finally climb up to a ridge where we can get a glimpse of the Tilicho Lake. Most of the year the lake is a vast icy area but during the trekking season it looks like a dash of turquoise set among snow-capped peaks. At nearly 5000m above sea level, Lake Tilcho, situated high up in the scenic Manang Valley is the collected glacial melt of the entire northern slopes of Annapurna and Throng Peak. 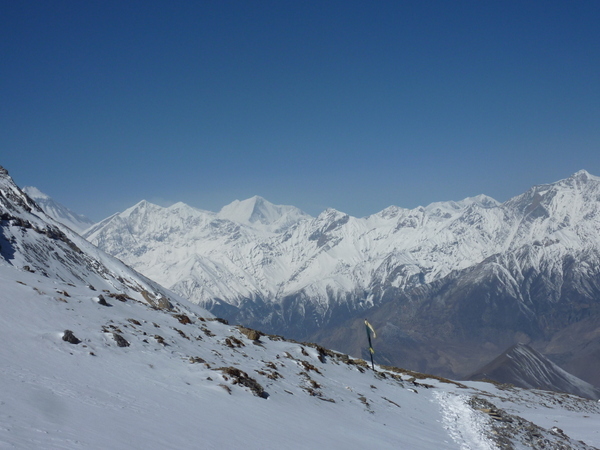 Tilicho is not a prohibited area but by virtue of its remoteness and altitude, few tourists take off the popular Annapurna circuit to hike up to the lake which lies within the Annapurna Conservation Area Project (ACAP). 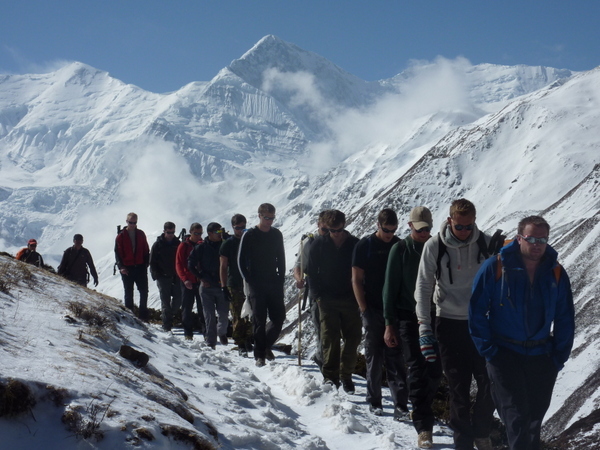 Those that do make the trip, roughly a day and a half walk from Manang Village, are treated to a spectacular view of the icy ramparts of Annapurna and Tilciho peak , carved by glaciers which plunge down to the lake itself. The shores of this idyllic, crystal-clear lake, dotted with wild flowers in spring, are ideal for camping. 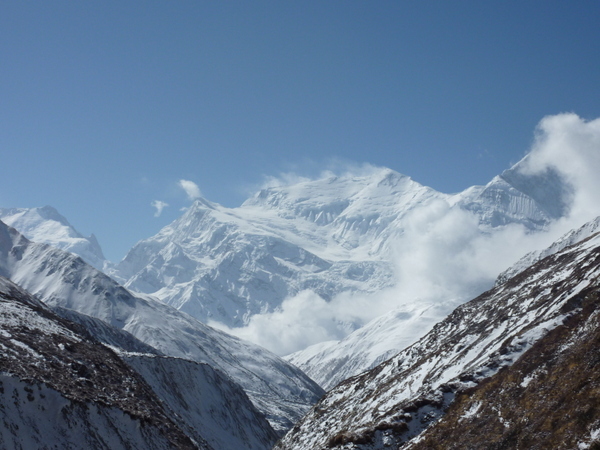 Gandaki valley here is called the ThakKhola, from the ethnic group the Thakalis, the main inhabitants of this area. Look for fossil ammonites (cephalopods - "saligrams" to the Nepalese) in the riverbed between Kagbeni and Marpha. This region is religiously and ethnically more akin to the people of the arid Tibetan plateau to the north, although we will begin to see forests lining the mountain slopes. The Kali Gandaki gorge begins to narrow and the Himalaya enclose us. Flights usually leave Jomosom very early to avoid the winds and clouds in the Kali Gandaki Valley, which occur from mid morning onwards. It is a beautiful flight back to Pokhara. You will stay today in Pokhara. Overnight hotel. Day 14: Drive from Pokhara to coffee farm in Dhading. Overnight at Country Paradise Resort.